The 60-foot mark in the Boys Shot Put is one of those "magic marks" in HS Track & Field that are major benchmarks in the sport. Not only that, but New York has a long tradition of surpassing that mark. We have done so for every year straight since 2009, with a four-year-streak before that from 2004 to 2008. Now, with John Surdej (Lancaster) repeating his feat from the year before this Indoors, which helped him take another State Title, the streak has hit the 10-year-mark. 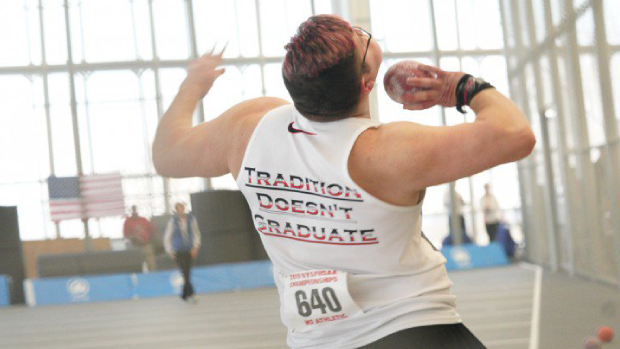 Surdej, who hit 60ft five times this Indoor Season, is a piece of a long line of throwing tradition here in New York. Anthony Harrison (Ramapo) hit 59-5.25 for second at States, and is close enough to add his name to the legacy this spring.